Crossrail committed to reducing particulate emissions from construction machinery as part of its Environmental Minimum Requirements and was the first UK infrastructure project to set out requirements for emissions control on construction machinery to bring about environmental benefits (as opposed to occupational health benefits in an underground setting). It was recognised that during the long construction period, there would be many construction sites spread across London, with each site having a range of large and medium size diesel engines working throughout the day, in many cases in close proximity to local communities. 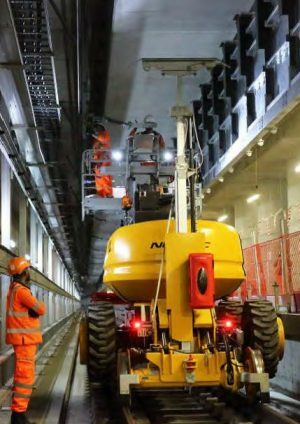 In 2012 less than 40% of all construction plant and equipment on Crossrail construction sites were fitted with diesel particulate filters or cleaner Euro Stage IIIB engines. By 2015 this had increased to over 80%. 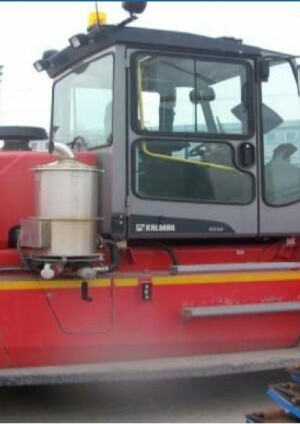 The learning legacy paper on Non-Road Mobile Machinery Diesel Engine Emissions Control Requirements describes the research undertaken and analysis of the various options for controlling emissions and the steps taken to implement the eventual solution and monitor compliance. This also includes a series of guidance notes that future projects may find useful. 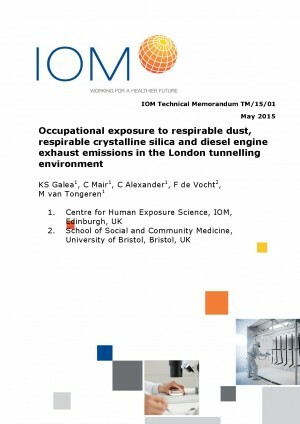 Crossrail required daily dust logs and use of continuous monitors for monitoring of dust from construction sites. Dust monitoring data collected from the continuous monitors was used to ensure compliance requirements were met.